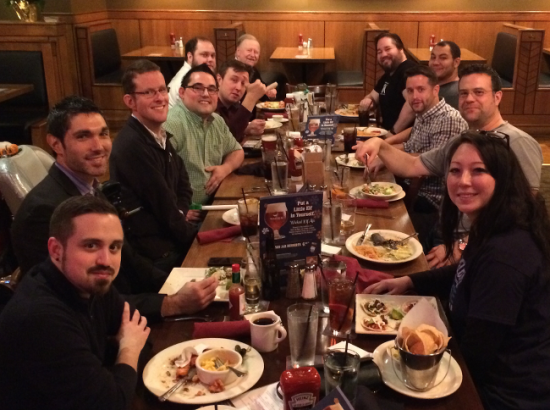 I’m Jeremy, or @jeremeamia on Twitter, and I’m currently the president of the Seattle PHP User Group (@SeaPHP). Until very recently, I was working at Amazon Web Services on their PHP SDK, but now I’ve joined the Engrade team at McGraw-Hill Education and am learning all about the “ed-tech” industry. I am also known to sing a rhyme or two as the @phpbard. We ran a Kickstarter earlier this year in January. It was funded January 24th, 2015. That’s when everything became official. The conference is taking place in Seattle, Washington, in the United States. >> How many editions of this conf have been organised till now? During the last few years, it’s been my honor to be invited to speak at several PHP conference across the U.S. The conferences that I’ve been to have been really great experiences. Most people in my user group in Seattle have never been to events like these, and I really wanted to bring that experience to them. There are also so many people I want them to meet. I’m hoping it will help the PHP community flourish in the Pacific Northwest, and that the attendees will learn things. More importantly, I hope they get to meet new people that enjoy their same craft and make friends and contacts that will last far beyond the event. We are paying local company to help us with this. It’s not cheap. They are already wired into the venue and have done this kind of thing before though, so we hope it goes smoothly and ends up being very high quality. >>>> are you the first entity to do this kind of thing? I’m not sure. I personally have not been to any community-run conference that has attempted to do this. It’s expensive and logistically difficult. We’ll see how it goes. >>>> how has the feedback about this amazing initiative been so far? Good! I wish we would have announced it earlier, but getting the details worked out was tough. >>>> any particular objectives for you guys to push forward with this as well? 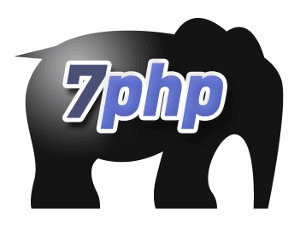 We just want to provide a PHP conference experience to as many people as possible. Along with the love stream we will also be running a live blog, with bloggers in every session. >> Any predictable numbers in terms of attendees? We’re expecting about 180 people in person. We also hope for many to join us online too. >> Those attendees tend to be of what background mostly? I’m expecting it to be about varied as our user group: developers of all sorts of skill levels. I have some excellent people helping me. First and foremost is Tessa Mero (@TessaMero). She is an amazing person and has done so much to make this event possible and keep things organized and progressing. Andrew Woods (@awoods), Cory Fowler (@cfowlerMSFT), Ian Maddox (@IanAMaddox), and John Kelly (@postalservice14) have all helped with various parts of the organizing. Maks Surguy (@msurguy) designed the website and Beau Simensen (@beausimensen) helped get it online. Kate Heesun Lee created our logo. Others in our SeaPHP group have helped and are planning on helping with other tasks as well. Eli White, Cal Evans, and Adam Culp have all helped with advice. We use Glip to communicate. It’s very similar to Slack as far as the basic group chat and integrations work, but they have a built-in tasks system that has been paramount to us keeping things organized and driving things to completion. Emails. Emails. Emails. So many emails. The more personal contacts you have, the better. Start with people in evangelist or leadership positions that you know. Ask other conference organizers for contacts. Tell your user group members to ask their employers. Talk to sponsors at other conferences. Our first platinum sponsor, Nexcess came about when I had a chat with their representative at the Midwest PHP conference. Our second platinum sponsor, Tableau, is local to Seattle. Getting local sponsors is critical, because they will be your biggest supporters. We have a few really awesome local sponsors like: Tableau, AWS, TUNE, Alegion, iSpot.tv, Mercutio, GoSolid, and coolblueweb. You can find out more about them on our sponsors page of the PNWPHP website. We have over 40 sponsors listed on our website. We contacted at least 3 times that many. Getting told no is never fun, but being completely ignored is worse. First year events are especially hard since you cannot make any guarantees on audience size and other things that sponsors are interested in knowing before they make the investment. All I can say is that we are grateful to our sponsors, and we’re trying hard to make a sponsorship of our event as valuable as possible. It’s nice because you can make all the creative decisions about how things are going to happen. Of course, when you realize how expensive some of those decisions can be you have to compromise with yourself. >> Your ‘call for paper’ and how is it scheduled? We did a call for papers (CfP) in order to collect proposals from speakers for sessions. We used a service called BusyConf.com to run the CfP. We received over 270 submissions. 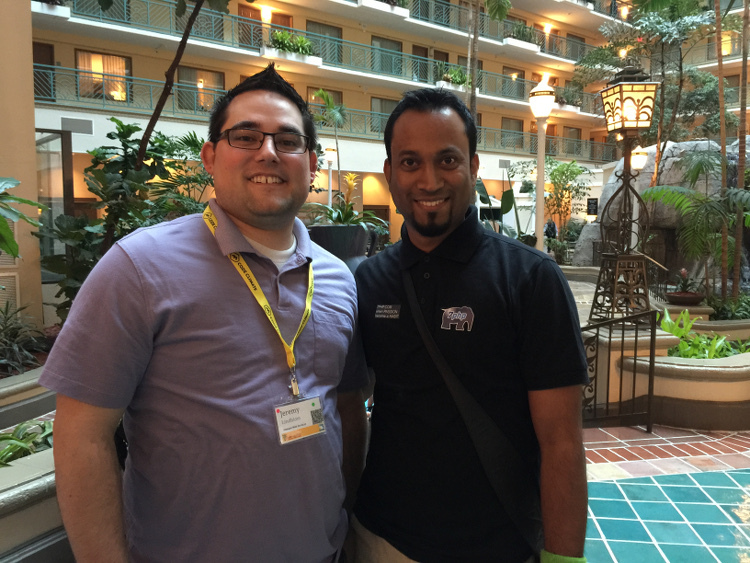 Session content, topic relevancy, and speaker skills were all taken into account. We also tried to get a good mix of local and remote speakers. We limited it to U.S. and Canadian speakers only this year in order to save money. There were some speakers I already had in mind ahead of time based on my interactions with them and also a survey I sent out to the SeaPHP group. There were 4 others that helped me rate and choose talks. Politely to the point, I would say. It’s still hard to turn people away though, especially ones that you know. Well, it’s local to the Pacific Northwest area in the U.S. 🙂 I’ve borrowed my favorite aspects of other conferences and tried to emulate those things. One thing I can say about PNWPHP is that there will be a lot more singing involved than your typical PHP conference. There are hundreds of thousands more things to do. Ha ha ha. Follow us on Twitter (@PNWPHP), and keep an eye on the #PNWPHP hashtag and our live blog when it comes time for the event.